Hello, my name is David and I am seven years old. I live in Chipata Compound with my Father and four siblings, and I attend Lifesong Harmony School. At school I like to learn a lot of things but my favourite subject is Environmental Science. Then when I get home I like to help around the house with chores, and in my free time I also love to play with my best friend Mirriam. 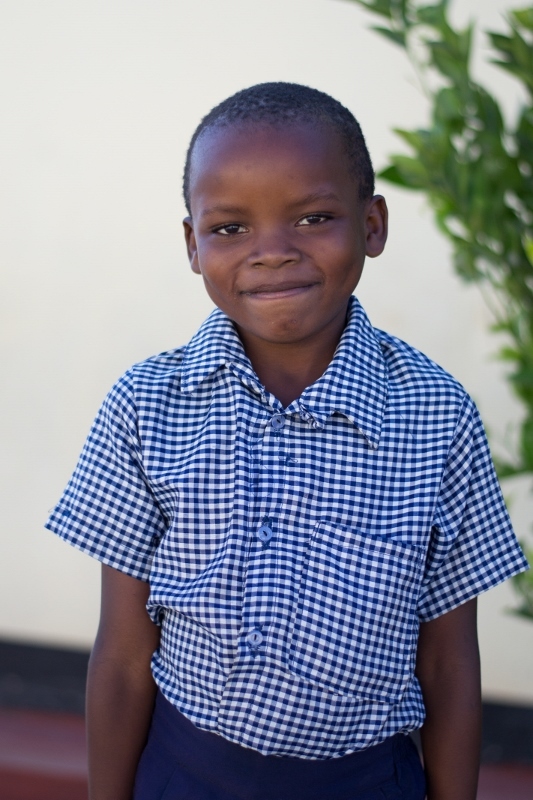 Something else about me I want you to know is that my favourite colour is blue, and when I grow up I want to become a teacher so I can help other children learn just like I am.